I would like to know if anyone has tested blade shoes on an electric unicycle? I ordered a pair on aliexpress. I will make a comment after trying them. Haven't tried before, but might provide the cushioning you're looking for. I can say for a fact that the Nike VaporMax outsoles feel very much like suspension while riding (while still retaining a degree of stiffness, unlike very mushy outsoles like Adidas Boost or Nike Lunar), though I'm not a fan in general of sneakers that ride high like this, as I prefer lower to the ground, plain rubber outsoles, for more pedal feel. I often get excited when someone talks about extremely well cushioning shoes, but get dissappointed every time since the models are always limited to low profile ones. Show me a pair of extremely cushioned high top (over the ankle bone) shoes with a zipper and I’ll order them right away. I might even without the zipper. I often get excited when someone talks about extremely well cushioning shoes, but get disappointed every time since the models are always limited to low profile ones. Will laces do rather than a zipper? These are made by Z-coil. Z-coils are popular in the States by people who work on their feet all day. I believe there is an optional cover for the coil, but maybe not on this model. I have found the Nike Air Jordan 4 to be that very shoe for me personally. I would recommend them to anyone looking for a high-top EUC shoe. 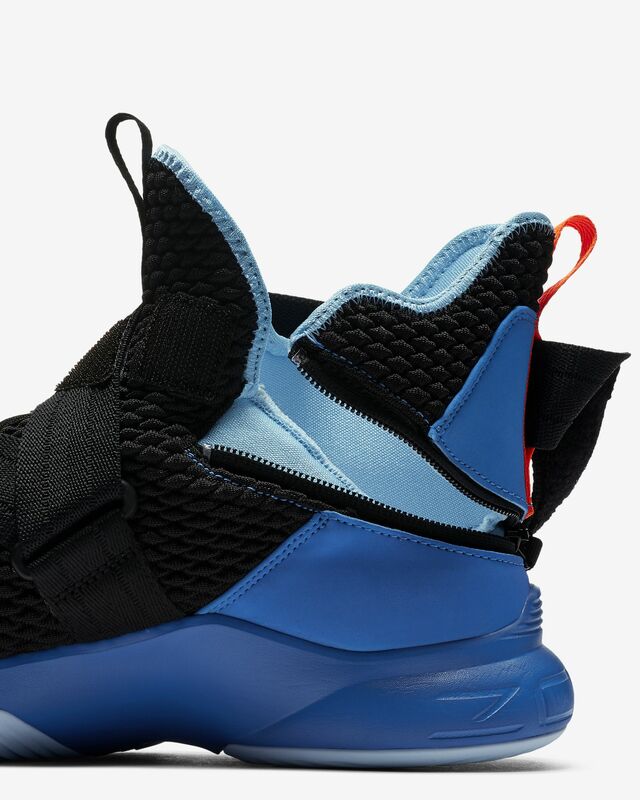 They're not highs, more mids, but the Nike LeBron Soldier XII FlyEase sport awesome bottom-loaded Zoom Air cushioning (not too spongy) in the heel & forefoot, and implement Nike FlyEase tech, which is basically a strap+zipper combo that wraps around the sneaker. Air Jordan 4 is just another regular height sneaker. Vans Hi-8 is a good example of the height I’m looking for, but even their cushiest ones don’t seem to have serious cushioning in the sole in order to retain the board feel for skaters. A stable support at the front and supple at the heels. Those are certainly nicer looking than the z coils I found.